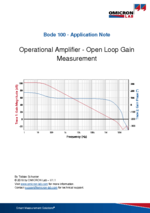 This application note shows how to use the Bode 100 to measure open loop gain as well as closed loop gain of operational amplifiers. 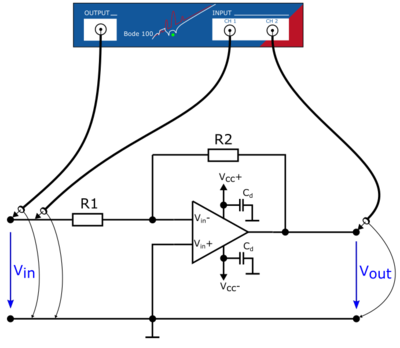 Most of the time operational amplifiers are considered an off the shelf product, which simply does its job in an electronic circuit. 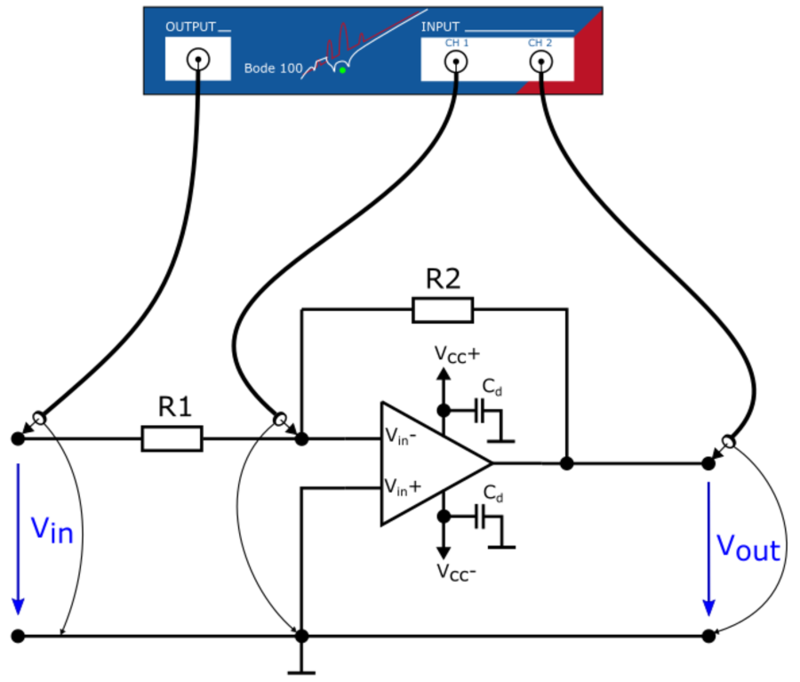 But quite often developers are surprised about unexpected phenomenons caused by the operational amplifier. Therefore it is very helpful to measure some basic parameters of the Op-Amp before it is used for a specific application. Sometimes it is even more interesting to see the total frequency response of the closed loop system. 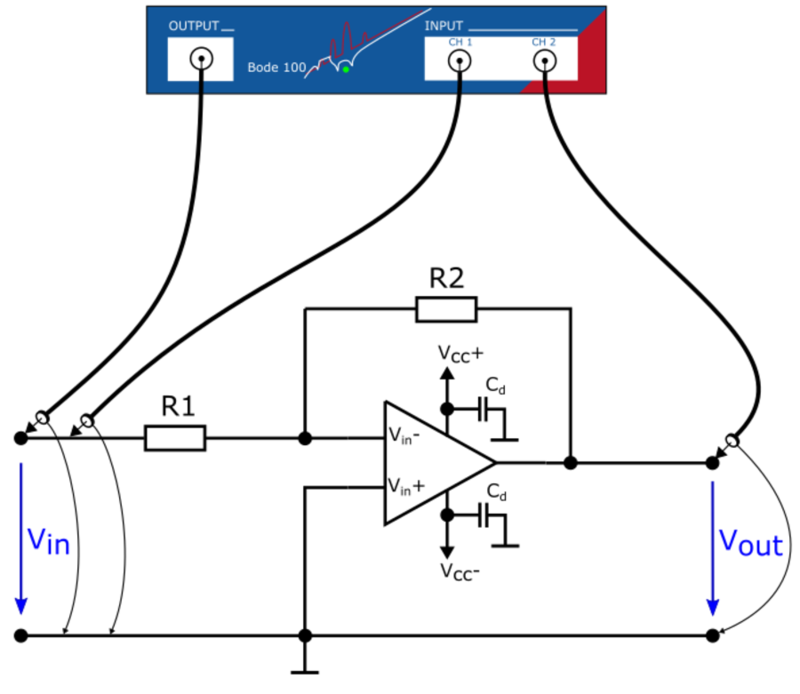 This method can be used to measure gain and phase over frequency in simple operational amplifier circuits as well as complex active filter systems. The following document describes an alternative approach to measure open loop gain by using a low-pass filter to close the loop at DC.